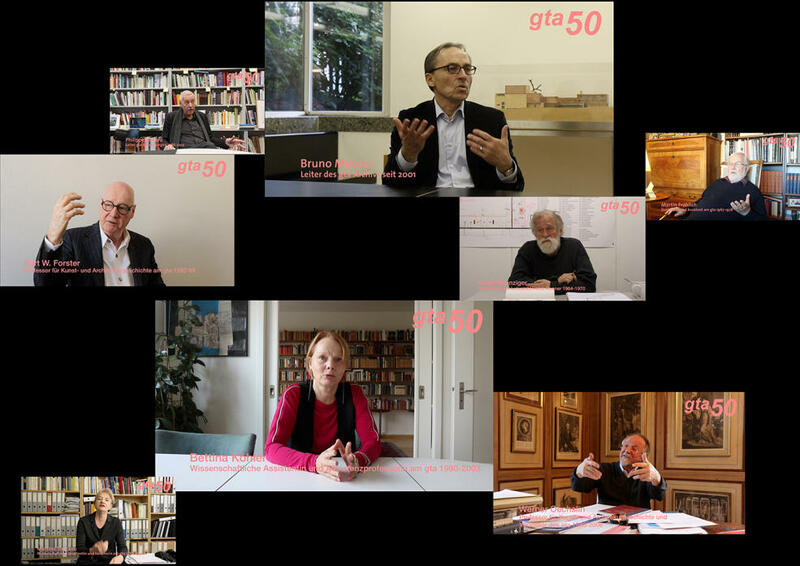 How did the ETH Zurich’s Institute for the History and Theory of Architecture (gta) come to be established in 1967? And how did it grow from being a small group meeting in a converted private apartment to today become a large institution with over 80 staff on the Hönggerberg Campus? How did the bequests of important architects come to be deposited at the gta Archives? How does the cooperation between art and architecture historians and architects work? Which exhibitions created an international stir in the 1970s? And what influence has the gta Institute had on architectural debates and developments in Switzerland? Who better to answer these questions than former gta Institute members? To this end, students and PhD candidates have interviewed 16 protagonists involved from the 1970s to today. A wide range of eyewitnesses express themselves in a series of talks, including former professors and institute directors such as Kurt W. Forster and Werner Oechslin; former assistants and doctoral fellows such as Martin Fröhlich, Ulrike Jehle-Schulte Strathaus and Martin Steinmann; exhibition curators such as Ralph Bänziger and Philippe Carrard; and secretaries such as Hermona Rosinger. The interviews offer personal recollections and form a source for the as yet unwritten history of the institute. A trailer with extracts from the interview recordings is to be seen in the exhibition accompanying the institute’s fiftieth anniversary. The full-length talks are accessible online here.